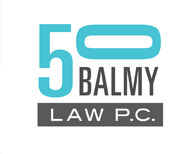 Trinh Nguyen | 50 Balmy Law P.C. Trinh has a deep understanding of art, copyright, and trademark practice, with many years of experience in entertainment litigation and copyright and trademark application and prosecution. Before coming to the firm in 2007, she worked in entertainment and intellectual property law firms in Los Angeles and San Francisco. She is an independent documentary filmmaker whose work has appeared in many film festivals. Her latest project is a multi-media e-book. She also speaks Vietnamese.